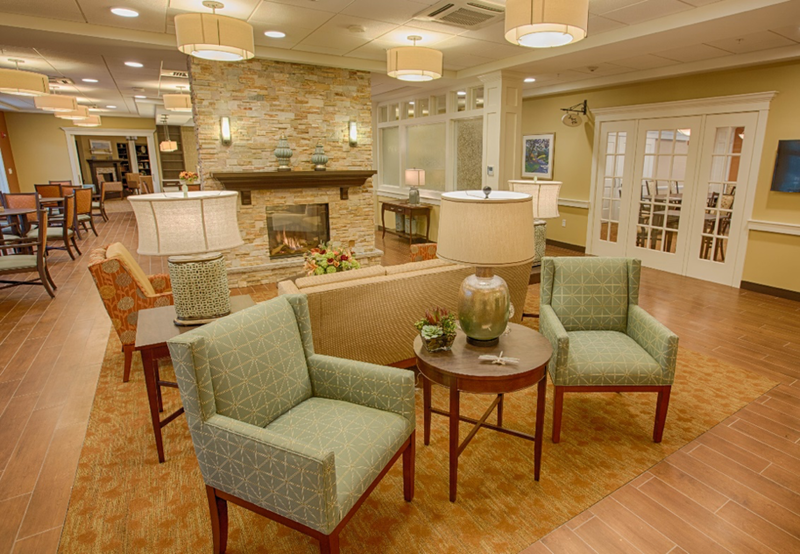 In November, the first two residents moved into The Branches of North Attleboro, a 104-person assisted living and memory care community across from Triboro Plaza, becoming the 56th location for Benchmark Senior Living. On Nov. 29, local dignitaries, including North Attleboro’s State Representative Betty Poirier and State Senator Richard Ross, were on hand for the community’s grand opening and ceremonial ribbon cutting. “The Branches is a place where people will enjoy their lives, and they will have dignity,” says Rep. Poirier. “And the food is out of this world!” More than 100 guests joined the opening celebration and enjoyed multiple stations of food and desserts prepared by award-winning Benchmark chefs. “Very soon, neighbors and others in North Attleboro and surrounding communities can expect to see The Branches’ residents out and about town,” says Kelly Arnao, executive director of The Branches. Arnao and other associates at The Branches have been meeting in recent months with local officials and community groups, discussing how to forge connections beyond the walls of The Branches community. Department heads from Town Hall are scheduled to visit the community to recruit residents for volunteer positions, schoolchildren will come in to sing, and a different local chef will be invited to prepare signature dishes each month in The Branches’ family kitchen. While The Branches will provide transportation for group outings, residents will also have special access to the ride-sharing service Lyft, giving them greater freedom to move around the area as they wish. 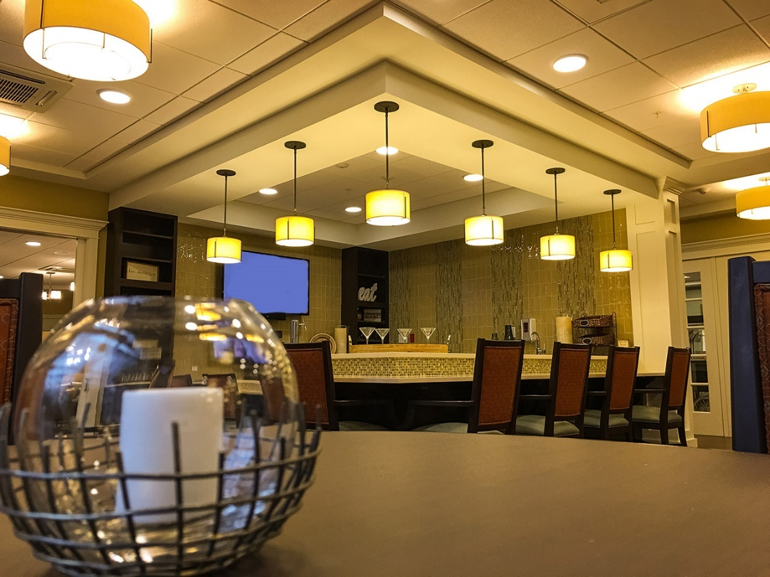 The Branches offers a family dining room where residents can celebrate birthdays and holidays and connect with friends and loved ones. Photo courtesy of David Udelsman. Comfortable sitting areas open opportunities for residents to connect with one another and their friends and family members. Photo courtesy of David Udelsman. The corner gathering spot, The Tap, hosts evening cocktail time and daytime snacks. Everyone on The Branches staff was invited to join the team because of their experience in creating meaningful connections and their ability to Elevate Human Connection, the Benchmark mission. The Branches Executive Director Kelly Arnao shares the scissors while State Senator Richard Ross, far left, and State Representative Betty Poirier, far right, hold the ribbon with Benchmark CEO Tom Grape and the first two residents of The Branches, Elma Underhill and Harriet Weintraub. Residents have their own apartments and private bathrooms with a connected social space between apartments. In a special collaboration with Pawtucket, R.I.-based Hasbro, residents and families will enjoy participating together in pilot programs to test new games and activities in rooms stocked with classic Hasbro branded games. The ground floor of the community features an open layout with a dining room, lobby, library and outdoor patios, giving residents multiple opportunities to mingle. There’s also a special corner area called “The Tap” where residents can sip wine and beer during the cocktail hour. And upstairs, there’s a family dining room where residents can celebrate birthdays and holidays with friends and loved ones. Another factor setting The Branches community apart from many other assisted living communities is its enthusiastic embrace of technology. In addition to the Lyft service, the community also uses Caremerge, a mobile and web-based app, to keep families updated about their loved ones’ daily activities. The Branches is also running a pilot program where half a dozen residents are receiving Samsung tablets and live-in rooms outfitted with Google Home technology. “We’re looking at senior-friendly technology to give our residents a better experience and keep them engaged,” says Benchmark Applications Manager Tom Fitzpatrick. The tablets come equipped with special software giving seniors access to relaxation apps, entertainment, games, news sources, email and web browsing – all with oversized icons for easy use. The tablets are connected to campus-wide Wi-Fi, and residents can use them to Skype with their families and browse daily activity schedules and meal menus. The residents participating in the technology pilot live in rooms with voice- and motion-activated lighting systems, which are programmed to light up a pathway to the bathroom if residents get up in the middle of the night. Benchmark technologists are even considering how to incorporate virtual reality into programming – potentially allowing seniors to virtually “travel” to different parts of the world from their home at The Branches.